It's a pleasure to introduce you to Susan Penning from the DIY blog Living Rich on Less. Susan and I both share a love for up-cycling and immersing ourselves in a creative projects. Let me tell you: this woman has a smart eye for design, and it's coupled with the practical know-how that's necessary to bring projects to completion. Recently Susan launched a new endeavor, which I'm eager to share with you today! I am thrilled that Robin is letting me steal her space today to share a project I just finished that has completely changed my life and will change yours, too. In the meantime ... about that project ... Do you often feel like your finances, schedule and even your thoughts are out of control? Does the clutter and chaos in your home give you stress and anxiety when what you really want is joy, peace and rest? Do you feel like your family's health and well-being are suffering due to a lack of organization? For many years, I tried without success to keep myself organized. I'd do well for awhile then "fall off the wagon." Things would pile up and my schedule, home and life would spiral out of control again. I had trouble keeping track of stuff, trouble getting projects done on time, and trouble keeping anything neat for very long. I'd vow to do better next time. I'd embark on one epic cleaning and organizing binge after another, and the cycle of struggling would continue. It wasn't until I was injured by the clutter in my own home – yes, I was physically injured by my own mess – that I was ready to do whatever it took to get organized for real. I started to get serious about finding organizing solutions that really worked for chronically messy and busy moms like me. I shared my tips with friends and family members and they encouraged me to write a book about them. So in an effort to help others like me keep their crazy busy lives organized, I wrote the electronic book, "Organized for Real: How to Conquer Life's Top 5 Chaos Hotspots." This super-affordable e-book is jam-packed with 76 pages of helpful (and practical) information about how to organize your mind, your schedule, your food, your finances and your home. And it is available for purchase now! 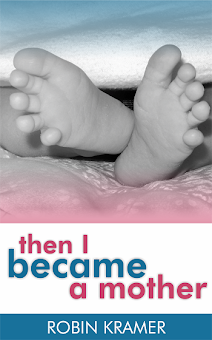 I am so excited about this e-book because I truly believe it will be life-changing for many of you. The principles in this book have rocked my world! To find out more details about the book, check out my brief video. 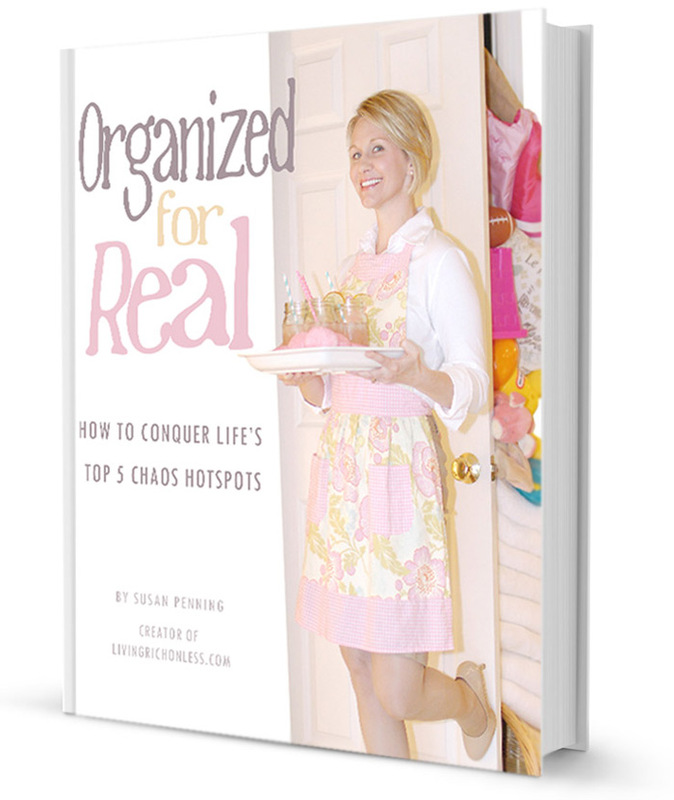 To get your copy of my e-book, "Organized for Real: How to Conquer Life's Top 5 Chaos Hotspots" and start creating the margin and beauty in your life that you crave, click here. Note: This e-book is currently on "early bird" discount at 50 percent off for a limited time! Be sure to snag your copy now.